I was reading back through these posts and realized that I really haven't told you a lot about what exactly I'm doing with my coaching business. Sometimes it is easy for me to get caught up in the busy-ness. In the early mornings and the busy weekends. I love it so much that I can forget that it is work. I can forget how far I've come. The fact that I love it so much? This is what solidifies for me that this coaching thing is totally my sweet spot. This is where I belong. This is my soul's work. And I'm gonna tell you all about it. I am offering a lot of different things right now. I'm trying to figure out what works. What feels good for me and my clients. What I want to build and what I want to let go. One of the items I offer is the stand-alone Contentment-Building Discovery Session. This is a 30-45 minute call (phone or skype) where we talk about areas in your life that give you a discontented feeling. We process these lacking feelings, build your contentment and awesomeness, and set a few action items. These calls are offered as I have time for them in my schedule, and I offer them as a free session (a $75 value). How do you know if I am accepting discovery sessions? If that link is active. If it is dark, my schedule is full. If I'm scheduling session, it is live. Easy as that. Always on the table are my coaching sessions and accountability services. I love this part of my job. We set goals and then follow-up as often as you want. I can harass you by text messages. And I will. And I seem to pop up when you least want to see me. My favorite piece right now, though, is my monthly offering. I don't do a special program every month, but I do quite often. 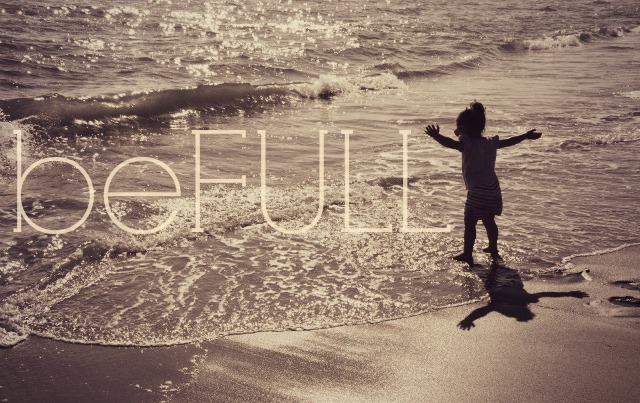 This month (and next month because I love it so much), I'm running beFULL. beFULL is different than anything I've done before. beFULL isn't an accountability challenge. We work together to recognize and build strengths, identify and challenge fears, conquer your nagging thoughts, and start to reframe and rewrite your story. I send daily mini-journal prompts that we discuss in coaching sessions, text messages, and as a group on the facebook page. This program is my favorite monthly offering so far. I cannot tell you the joy I feel watching my friends bloom. And we still have another week! I am running beFULL again in August because I love it so much. And because I believe you will too. It will be the only time it is offered until the spring (because, boy, do I have plans for the fall!). I asked current participants for a few words about the program and was so humbled by the words that came in. I don't just say this because this program is mine, friends, but I think this is good stuff. And I think my passion for helping others find their best selves shows. Click over to the beFULL page to read more about the program and see what other participants are saying so far. So I apologize if this is coming off as a plug. Maybe it is. But all I know is that I am passionate about what I'm doing. And I want to be passionate about this blog space again. And I want you guys to have the full picture of what I'm doing. So here I am - trying to bring it all together. If you want more information on what I'm doing, you can visit my coaching website. I also send out a monthly newsletter (to go out tomorrow!) that you can sign up for here.